A new predictive ballot model of registered voters in Missouri created by a conservative polling group shows Republican Josh Hawley with a significant edge over incumbent Democratic senator Claire McCaskill in their closely watched November showdown. The model, created by WPA Intelligence and shared with the Washington Free Beacon, was based on predictive data available for each of Missouri's 4,101,062 registered voters and found Hawley to have a six-point advantage over McCaskill, 53 to 47 percent. The model uses available consumer data, voter history, and demographic information to assign each voter with a predictive score. Among likely voters, the model categorized a roughly equal number of voters as leaning toward either candidate, with 609,694 voters rated "lean Hawley" and 589,849 as "lean McCaskill." The model found Hawley's advantage to be in voters who are firmly behind him, with 398,087 voters categorized as "likely Hawley" voters and only 311,750 categorized as "likely McCaskill" voters. The model predicts Hawley to win in November by just over 106,000 votes, 1,007,781 to 901,599. "Our latest ballot model demonstrates a significant raw advantage for Hawley among individual voters, and Missouri voters are primed to retire Claire McCaskill in favor of a senator who will represent their interests and values, not those of Chuck Schumer and the national Democrat Party," said Brian Rodgers, executive director of Missouri Rising Action, a conservative group that commissioned the analysis. "New reports about [Claire McCaskill] and her husband profiting millions from federal subsidies, taking advantage of tax loopholes, and using Cayman Island tax havens, are putting her record in full view for Missouri voters—and they want a change." WPA Intelligence said consumer data was available for 2,899,939 of these voters, and that vote history and demographic information were used to score the 1,201,123 voters without consumer data. Predictive models such as the one created by WPA Intelligence are generally commissioned by campaigns to help identify voters it should work to reach. This model, for example, identified 71,822 registered voters who were less than likely to turnout in November but would probably vote for Hawley if they did, presenting an opportunity for election groups hoping to tilt the scale toward Republicans. 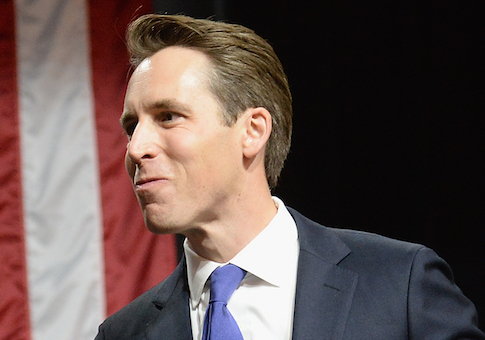 Publicly available polling data has been sparse but thus far shows a neck-and-neck race between Hawley and McCaskill, an incumbent running for a third term. Both candidates easily won their respective primaries earlier this month, with roughly 60,000 more Republicans showing up at the polls to vote than Democrats. This entry was posted in Politics and tagged 2018 Election, Claire McCaskill, Josh Hawley, Missouri. Bookmark the permalink.